Russian President Vladimir Putin on Sunday dismissed criticism by the Group of 7 nations as “creative babbling” and said it was time to start cooperating again. 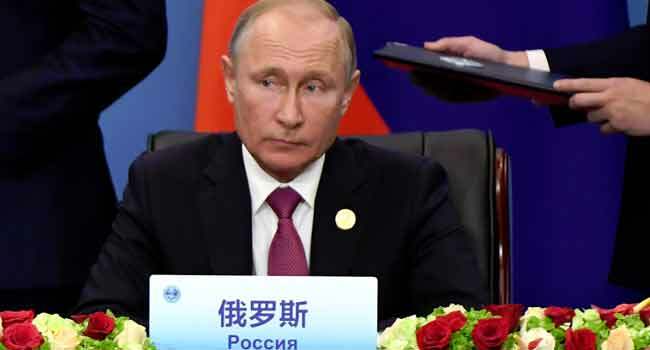 “I believe it’s necessary to stop this creative babbling and shift to concrete issues related to real cooperation,” Putin told reporters in the Chinese city of Qingdao when asked to comment on a G7 joint statement. At the same time, he downplayed tensions at the acrimonious G7 meeting in Quebec City, after Trump disowned the joint summit statement and lambasted Canadian Prime Minister Justin Trudeau.